His life of crime began while he attended college in Pullman. Dirk Van Velzen was apprehended by police for an incident in 1990 at the Apple Cup game between the University of Washington and Washington State University in Pullman. Artwork by inmates is featured on a calendar that benefits the Prison Scholar Fund, which helps inmates pursue an education. Van Velzen and a college friend set off a smoke bomb at Martin Stadium. He spent seven months in jail on convictions of second-degree reckless endangerment and disorderly conduct. His criminal ways continued back in Bothell, where he became involved in a burglary ring, leading to his appearance on “America’s Most Wanted.” Van Velzen was wanted on a federal firearms violation and a Snohomish County warrant for two counts of first-degree possession of stolen property and two counts of second-degree burglary. He also had an outstanding warrant in King County for a probation violation on a forgery charge. Caught after the show aired, Van Velzen is serving 15 years at the Clallam Bay Corrections Center. His father, Ted Van Velzen, said his son chose his own path beginning in junior high school. Nevertheless, a father is always a father. Ted Van Velzen is helping his son get his college education. They formed The Prison Scholar Fund, http://prisonscholar.org and sold a few 2005 calendars featuring art by inmates. Proceeds go to a scholarship fund. One inmate received $200 to help pay for studies at the University of Colorado. The rest goes to Dirk Van Velzen, who is a sophomore pursuing a degree in business administration from Pennsylvania State University and taking courses from the University of Colorado. He gets straight A’s, his father said, and received a President’s Freshman Award to note his grade point average. Don’t we want the 33-year-old to leave prison, about age 45, with a good education under his belt? I do. His father is footing the bill, plus assembling packages four times a year that can be sent inside, filled with toothpaste, clothing and deodorant. They share a horrendous memory. Dirk Van Velzen’s mother was hit and killed by a 16-year-old driver while strolling on their street when her son was 16. Ted Van Velzen said his son was close to his mother and took the death hard. The father lives in the same secluded Bothell home, where he enjoys gardening. Retired from federal work as an entomologist, he volunteers for the Seattle arts community. His older son, Eric, lives and works in Washington D.C. He hasn’t visited his son at Clallam Bay. They speak weekly by phone and write letters. In an essay he wrote in prison, Dirk Van Velzen said education has shifted his perspective from the present to the future and has fostered an altruistic attitude in him. He’s a good writer, his father said, and a talented artist. In a junior high art class, his son was instructed to make a pinch pot. Instead, he sculptured a bust of his teacher that is displayed in the family china hutch. 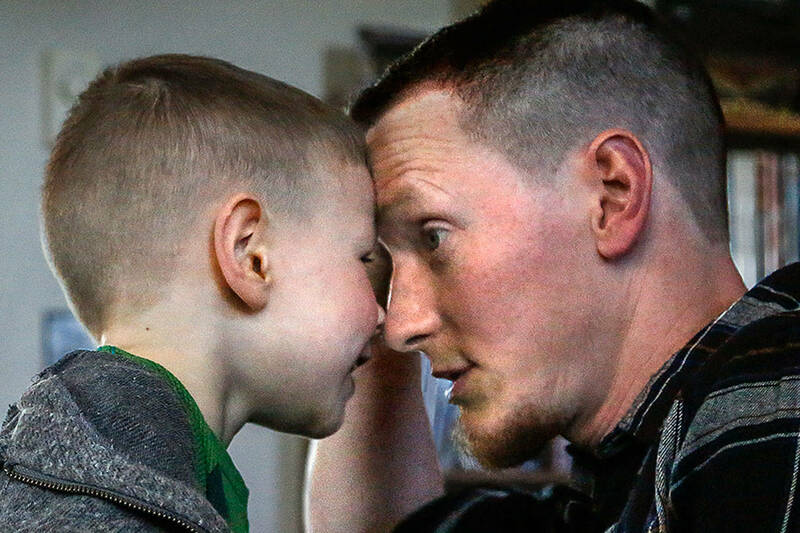 While incarcerated, his son said, he aims to become a better man. If anyone agrees, the purchase of a 2006 calendar will aid the Van Velzens’ cause. Columnist Kristi O’Harran: 425-339-3451 or oharran@ heraldnet.com.